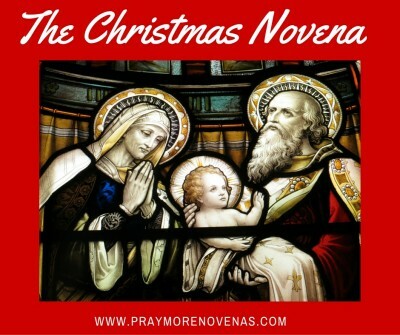 Here’s Day 5 of the Christmas Novena! I pray that Jesus will heal my relationship with a dear friend. It is beyond my control and something only He can do. I have introduced this person to a spiritual life and ask that Jesus puts peace and trust in his heart. Every novena, I pray for the conversion of ALL my family members who have left the Church , especially my children who no longer practice their faith. Last night my daughter called since she will not be able to be home for Christmas. In our conversation, I asked her to go to Mass on Christmas, and she replied that she has been going to church on Sundays! Thank you, Lord Jesus! Give her the grace to continue to grow in your love! What a wonderful Christmas gift! Please for Steph that their fertility problems may be addressed caused by her NHL. That l may become less depressed in order to help my family and others. Holy mother hear my prayer. Thank you Jesus for everything, soon we will sing Happy Birthday and Glory to God in the highest! I pray for money to finance my son throughout medical scoop. I pray for money to pay his school fees. I pray that hr be highly successful with his exams.